No, I am not talking about space ships, I am talking about water-based ships sailing the oceans on planet Earth. What would be a plausible cruise speed and maximum speed for what would be the equivalent of a modern destroyer after about 100 more years of technological progress? Please assume that the human civilization manages to continue on as it currently does without any large-scale disasters or society collapse slowing down the speed of technological progress. Conventional surface ships will likely continue to sail at around the same speeds as today, simply because the laws fo physics are not going to change. A wet navy monohull ship today is approaching the maximum possible hydrodynamic efficiency, and there are good reasons to suspect the monohull form will survive into the 22nd century, since it is well developed, has a considerable volume for equipment, fuel, and other consumables, is stable even in high seas and can provide persistence (the main reason to have a navy in the first place: the ship can remain on station for weeks or even months, something aircraft, orbiting spaceships or may other potential systems cannot do). Looking for the ability to go faster would require firstly defining the parameters of how fast the ship should go, how long it can sustain flank speed and "why" it needs to go so fast? There are a number of ways to go about this. Sustaining a modest increase in surface speed can be best done by minimizing the friction between a ship and the water. The ship can inject air or some sort of slippery polymer between the hull and the water in order to minimize friction. The amount of speed that you can gain might be limited, especially by the amount of energy needed to inject the "interface" fluid, and the amount of fluid carried if you are not using air. Research is ongoing today, and it is a relative to the Prairie/Masker system used to reduce noise on US Navy ships. For higher speeds, we need to lift the hull from the water entirely. 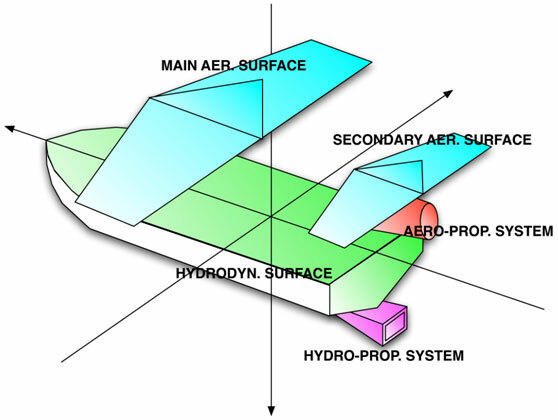 Hydrofoils, lifting bodies and surface effect systems use different means to do this. 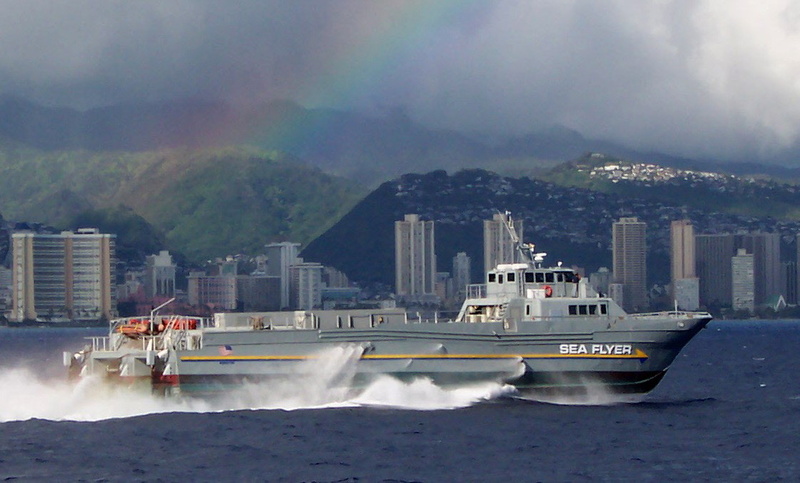 Hydrofoils are essentially wings, and lifting bodies are similar, but larger and likely more robust than foils, although the large size may result in lower potential top speeds. Lifting bodies also have the potential to lift larger displacement ships. 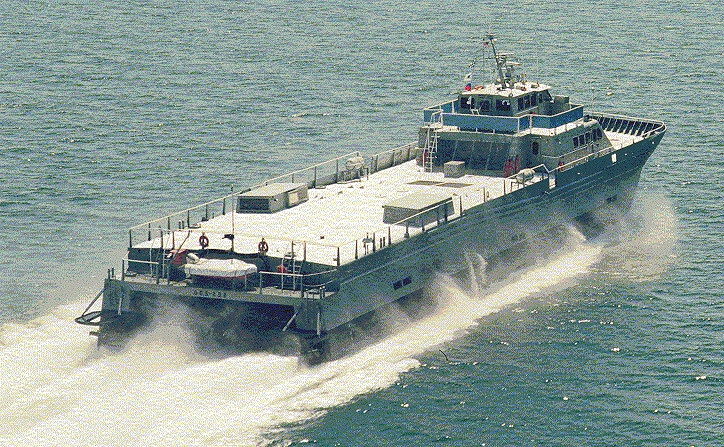 Surface Effect Ships are forms of hovercraft, using the body of the ship and "skirts" on the bow and stern to trap air (usually injected by a powerful turbine engine) to lift most of the hull out of the water. The advantages are Surface Effect Ships are more efficient than hovercraft, but like hovercraft, are very power hungry. The SES series of test ships achieved speeds of 100 knots, so transit and dash speeds are very impressive, and when the air cushion is off, the ships can still remain on station like a conventional ship. Beyond the 100 knot speed, we need to leave the water entirely, and are now in the realm of airplanes or Ground Effect Vehicles. One intermediate step is to use wings to partially lift a ship from the water, in effect inverting the idea of a hydrofoil (Aerodynamically Alleviated Marine Vehicle). This has not really been demonstrated to date. 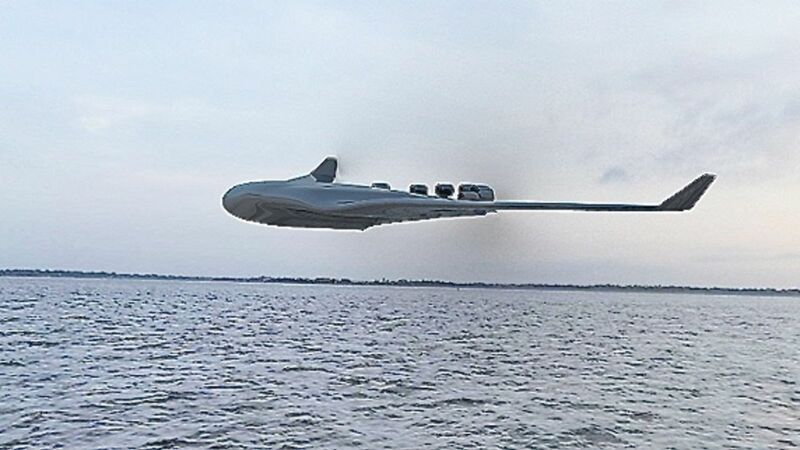 Of course, a true flying boat provides the ability to fly to deployments anywhere on the globe, and then land and float on water to provide persistent presence. 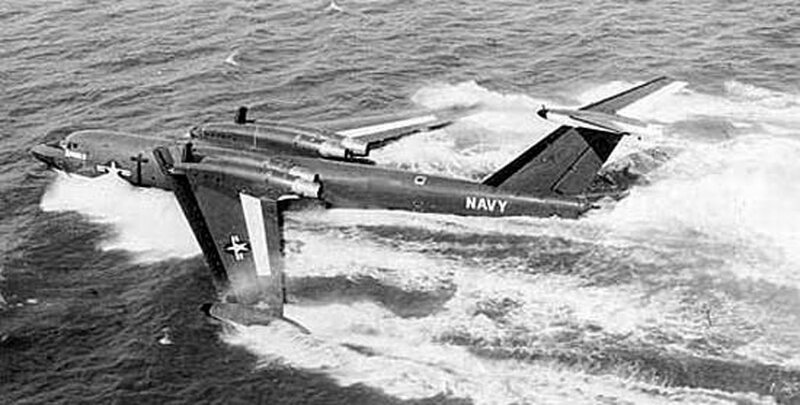 The apogee of flying boat design is likely the Martin "Seamaster", a jet powered flying boat roughly the size and performance of a B-52. This should qualify as a true "boat" once at sea, and provides a high subsonic speed performance as well. Amazingly, the Seamaster is an amphibian! 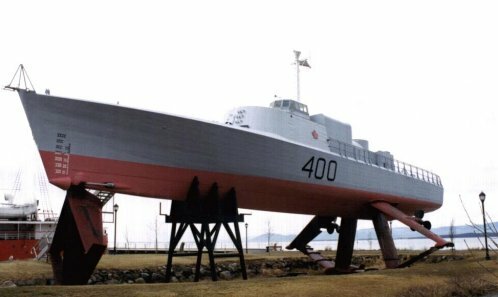 I would suspect that by the 22nd century, most wet navy vessels would actually be some form of flying boat, to make the force as versatile and rapidly mobile as possible. If you look at the last 200 years, the top speed seems to have levelled off because aircraft (manned, unmanned, or missile) will be faster than watercraft, so trying to win the sprint race is pointless. Watercraft excel in range and endurance, not speed. But the tendency is clear. Destroyer speed has stopped to rise. Needing speeds to rival those of aircraft and without the need for armor, future destroyers will be massive ground effect vehicles with hovercraft capability. These vehicles leverage ground effect to achieve efficiencies better than aircraft and because they ride just over the water, are much faster than draggy conventional ships. Ground effect vehicles ("sea skimmers") exist. The sweetest is the ekranoplan. 740 km/hr is good and fast and is only a little less fast than a modern passenger jet. That was 1960. 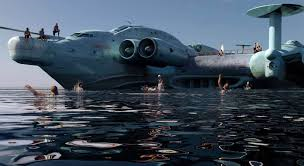 Your future can be the past: a destroyer size ekranoplan made of titanium and carbon fiber with an aircraft like drive system moving it at 1000 km/hr. using Supercavitation you can remove most of the friction from travelling through water. 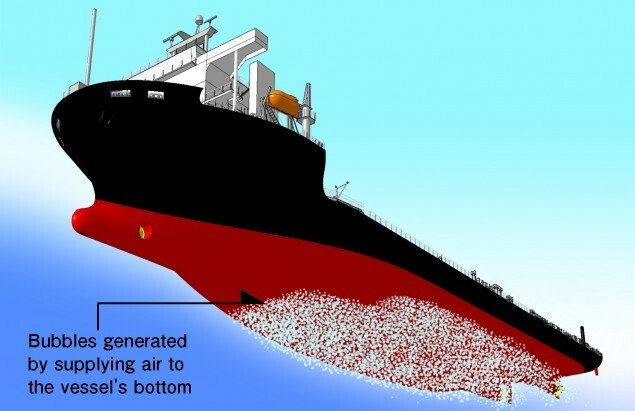 This seems to be designed much more to work with submarines, but I have seen designs to apply it to the front of cargo ships to reduce fuel consumption. The submarine's designer, Electric Boat, is working on a one-quarter scale model for sea trials off the coast of Rhode Island. If the trials are successful, Electric Boat will begin production on a full scale 100-foot submarine. Currently, the Navy's fastest submarine can only travel at 25 to 30 knots while submerged. But if everything goes according to plan, the Underwater Express will speed along at 100 knots, allowing the delivery of men and materiel faster than ever." After invention and successful miniaturization of fusion plants 100 years into the future ships will just fly. They will anchor and refuel on water (there is a lot of deuteruim in oceans). but will fly to move. There would be little reason to move in water when everything they have can be put in air because of very light and cheap energy generation. As not really aerodynamic they will be able to easily reach 900 km/h and probably be able to go faster than the speed of sound for short amount of time. Computers will be faster and will be able to correct all pilot errors. Just look at "Back into the Future". They installed a fusion power plant instead of the main engine and made the car fly. ITER (fusion power plant experiment) will generate energy in 2035 (planned). DEMO (next fusion power plant experiment) will be able to generate electricity in production scale in 2060 (planned). After the explosion of fusion science in 2070 (expected as fusion is supposed to lead to enormous cheap power generation) and focus of all countries to build fusion plants the technology will be optimized and miniaturized until at the beginning of the 22nd century a common fusion power plant will be the size of a car engine. Well over 100 knots plausible. The most significant speed limiter of a boat hull through water is frictional drag. That is the result of wetting properties and adhesion forces at the hull/water boundary. As nano-scale material science progresses it's plausible that physical nano-scale structures could be applied to the surface of ship hulls that greatly limit the ability of water to wet and thus adhere to them making them effectively friction-less. This would have an effect similar to supercavitation without the additional complexity, and it should be noted that since the 1970s there have existed supercavitating torpedoes that can exceed 200 knots underwater. For ships, the limiting factors at that point would be aerodynamics and the system of propulsion (the torpedoes are propelled by solid rocket engines). Turbo fans would be a natural choice. If civilization continues on as it currently is, warships would become pointless*. There would be no adequate power source, as fossil fuels will be exhausted and nuclear would be unacceptable (per the "current course" requirement). Furthermore, small drone missiles would easily destroy them. *Even today, their only real use (other than nuclear submarines) seems to be aircraft carriers, and that in instances where the opposing force does not have practical capacity to reach the carrier. Otherwise they tend to be sitting ducks. See for instance the sinking of the General Belgrano in the Falklands war. Not the answer you're looking for? Browse other questions tagged near-future engineering travel ships or ask your own question. What do you do about a ship adrift? What kind of damage would a tall ship take by running into an immovable object? What would ancient Horn-of-Africa sailors eat on ship? What would a royal wedding on a ship in the 18th century have been like? How would a sailing ship travel on land?